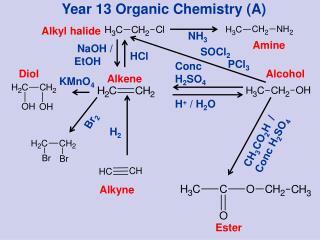 Year 13 Organic Chemistry (A). 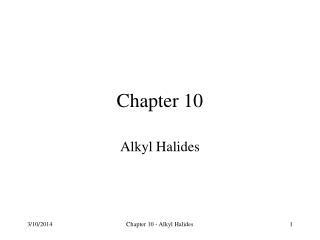 Alkyl halide. NH 3. Amine. 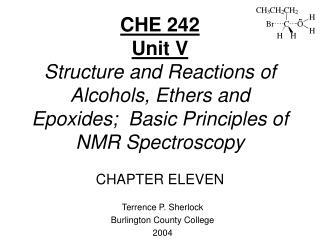 NaOH / EtOH. SOCl 2. HCl. PCl 3. 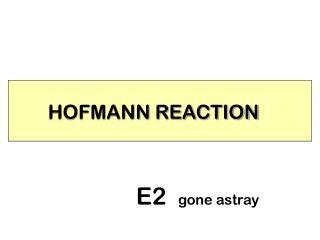 Conc H 2 SO 4. 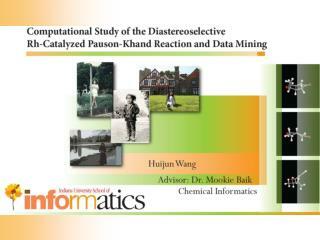 Diol. Alcohol. 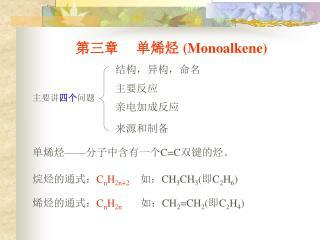 Alkene. KMnO 4. H + / H 2 O. Br 2. 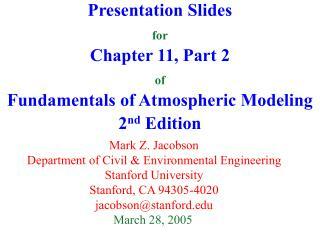 CH 3 CO 2 H / Conc H 2 SO 4. H 2. 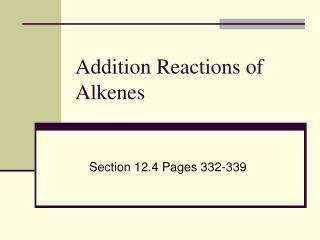 Alkyne. Ester. 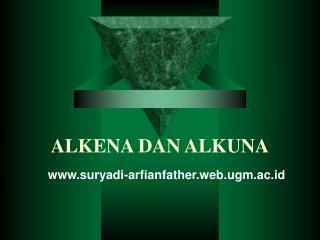 ADICIJA -. 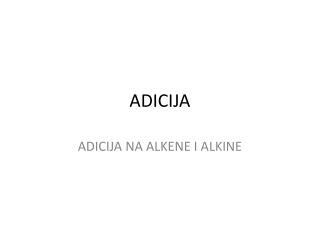 adicija na alkene i alkine. 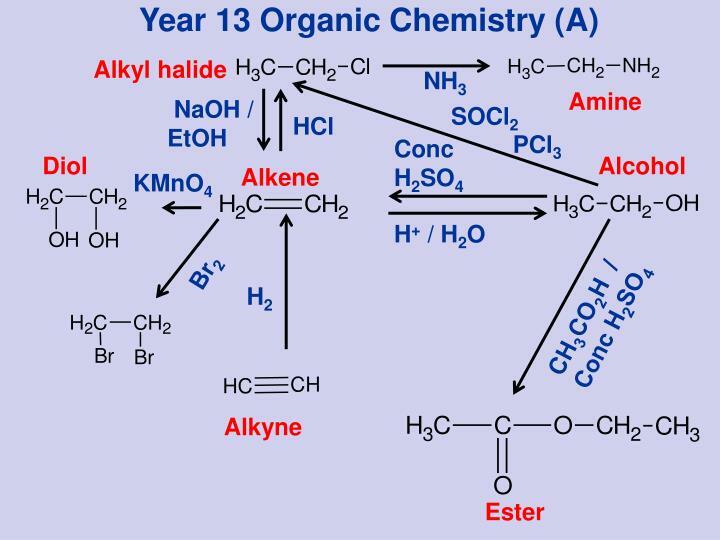 alkeni. nezasićeni ugljovodonici sadrže dvostruku vezu može biti više dvostrukih veza u molekulu. s p 2 -hibridizacija. stvaranje dvostruke veze. dvostruka veza. dvostruka veza etena. Chapter 3 -. 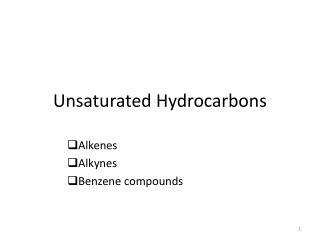 functional groups. 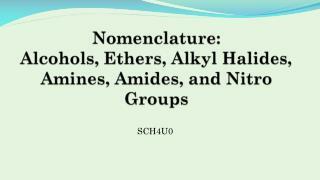 alkanes and alkyl groups. 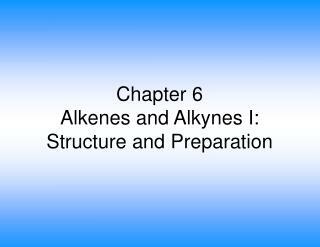 iupac name of alkanes properties of alkane. 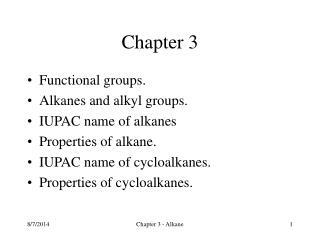 iupac name of cycloalkanes. 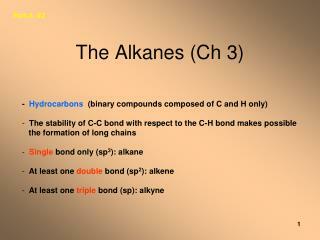 properties of cycloalkanes. 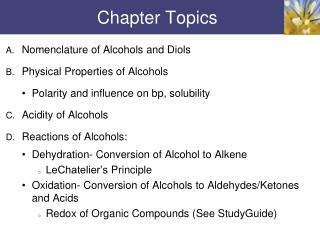 functional groups. alkane. 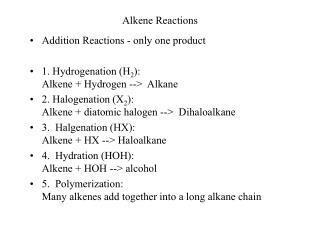 alkene. 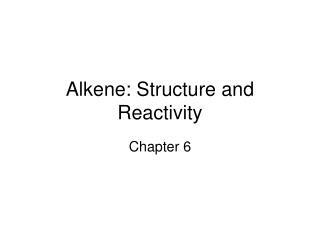 alkyne. arene. halide. 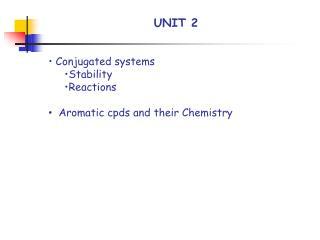 functional group. Coordination chemistry of a novel phosphine-alkene ligand -. 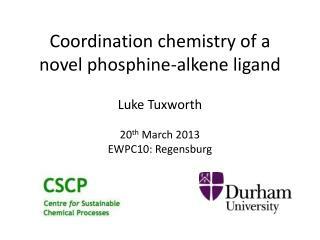 luke tuxworth 20 th march 2013 ewpc10: regensburg. 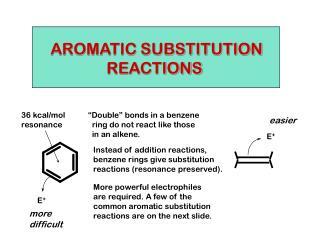 what is a phosphine-alkene ligand?. 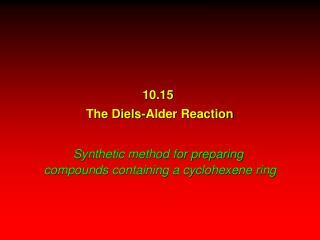 a ligand that contains a phosphine and an alkene metal binding site why synthesise them?